o begins the new term at West Kent College and this week and my colleague and I have been introducing the new students to aspects of design thinking. We’re keen to stress the importance of thinking and approaches to the design process, trying to reiterate that using a computer as the exclusive means of problem solving is not what design is about. Yes, Google is great and so is Photoshop but so are our brains along with our ability to communicate and it’s these that need exercising as much learning how to make slick designs on a Mac. We want to demonstrate—or rather have the students demonstrate to themselves—that planning and discussion are essential in design and for them to appreciate the importance of remaining open and receptive to new ideas and to be able to develop the means to explore approaches to thinking and the range of possibilities that such thinking can yield. 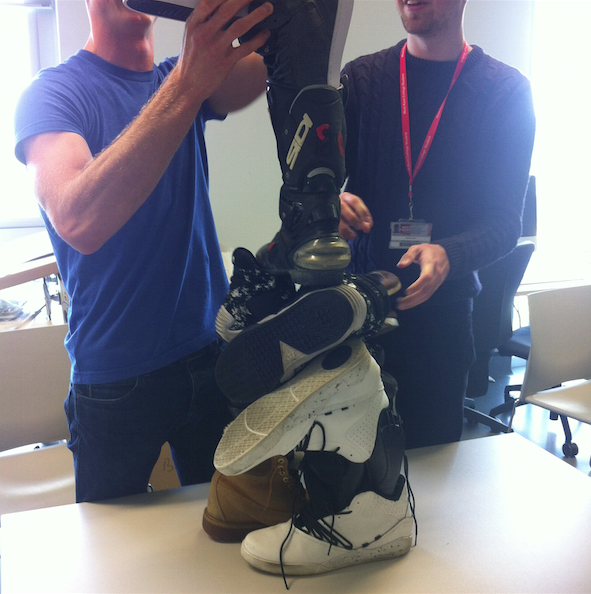 This little group activity requires the building of the tallest and most elegant tower of shoes possible. In doing so the participants discuss, build, take down, rebuild, and essentially explore possibilities. 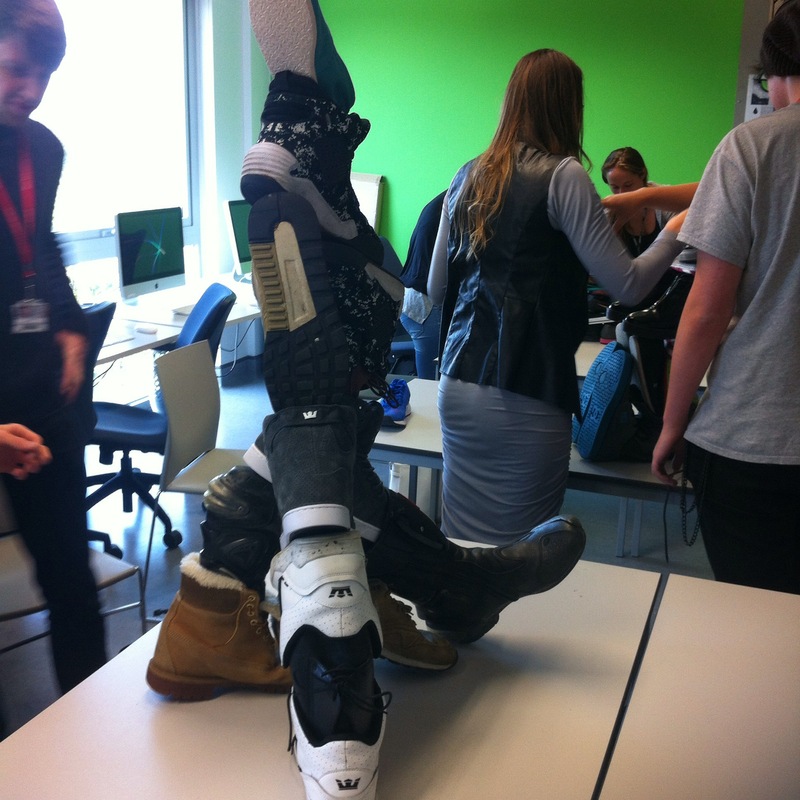 It sounds and looks a bit quirky but if it helps students consider that design is about possibilities, communication, interaction and collaboration then maybe they will rapidly appreciate that this unusual activity serves a very meaningful purpose.